When you are interested in making an upgrade to your home to improve energy efficiency, a great idea is to invest in a digital setback thermostat. 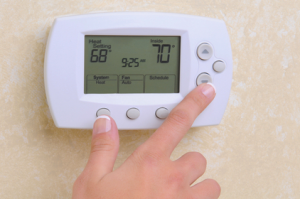 While there are several different types of thermostats available for you to consider, a smart idea is to invest in a type of thermostat that gives you improved control over your HVAC system. This is exactly what you can expect from a digital setback thermostat, and your friendly HVAC technician can help you to make this installation. Why Is a Digital Setback Thermostat a Superior Option? thermostat with a digital readout and easy-to-use controls. You can precisely set the temperature at the desired level by pushing the buttons, or you can use the programmable features to set up automatic temperature changes in your home. In these ways, you can have improved control over your home’s indoor temperature than if you were using another type of thermostat. What Are the Advantages for Using This Type of Thermostat? This type of thermostat is designed to be easy to use, and it makes it simple for you to control the temperature in your home. Even when you are not home, the programmable features can work to raise or lower the temperature in your home as you have instructed it to do through the programming. This gives you enhanced control over your HVAC unit as well as the temperature inside your home. 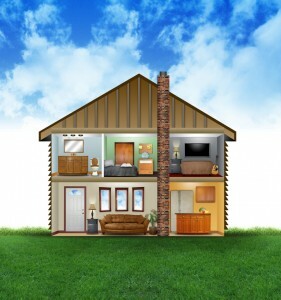 Each time your HVAC unit turns on, it uses energy. In addition, the amount of energy used will be dependent on how long the system runs. The ability to have greater control over the HVAC unit’s operation will have a direct impact on its energy consumption, and this will relate to how high your energy bills are. Many who make the switch to this type of thermostat and who thoughtfully program it will see a decrease in energy bills. There are several different steps that you can take to improve energy efficiency in your home, and investing in a new digital setback thermostat is a smart option that is both easy and affordable for you to move forward with. If you are ready to start enjoying the benefits of a new thermostat in your home, you can set up an installation appointment with an HVAC technician soon. Upgrade your Annapolis home thermostat today! Just call Heidler Plumbing at (410) 268-7191, and see what advantages a new digital setback thermostat can do for your home.